It's generally prohibited to camp in the great outdoors in a few European countries like Germany (check out this related question). Speaking for latter, it's allowed to sleep in your car however. 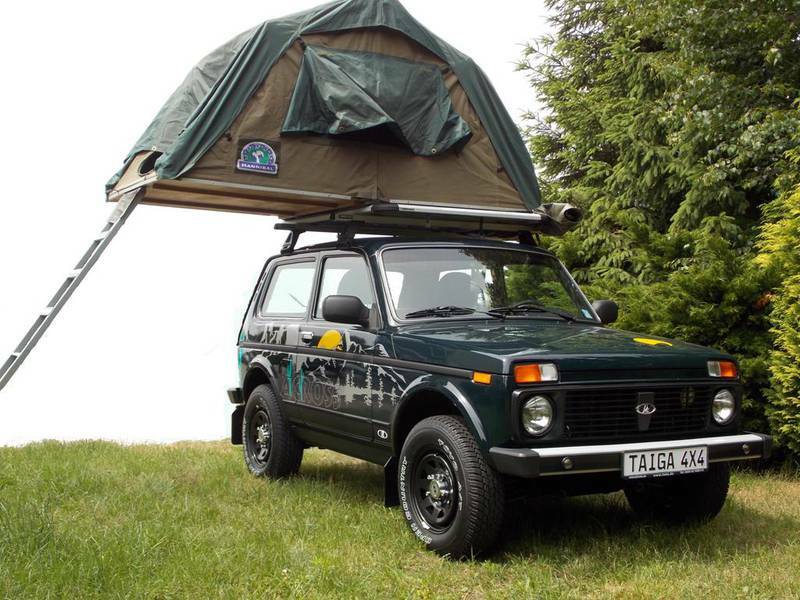 So, let's say I drive my Lada up a German mountain and sleep in it. Am I allowed to do so? Note: I mean to sleep in the bare car. Like laying on the back seats or even in the common driver's seat if that's comfortable enough. Edit: Aravona added a good point. Of course we can consider that we are generally allowed to drive there (not a privately owned land etc.). Bonus question: If yes, am I still if I transform it to a camping-device? If you are allowed to drive there, and the land is not privately owned, you are allowed to sleep there, although different state have their own law. Everyone may enter public forests and you may sleep there too, as long as you don't leave any trash or harm the environment. Sleeping under a tarp is okay, but you may not use a tent with ground sheet. - some states even allow camping if you get a permission beforehand. Germany has different laws for forests and not-forests, so you might ask about that beforehand. But since there are no laws against sleeping in your car, and if you and your car are allowed to be in that place, I would say go ahead. Ask for specific information beforehand. But the worst thing that could happen would be that they send you away. To sum it up: different laws for different stats (in Germany), usually you can sleep in a public forest (under a tarp, or a biwak), but may not use a tent/make a fire. You are allowed to sleep if your car. Thus, you should be allowed to sleep in your car if your car is allowed to stand there. In practice what is permitted will depend very much on the attitude of local law enforcement and your perceived intention. Clearly camping without permission is not the crime of the century but if you do it as way to get around a bylaw where camping is posing a persistent nuisance then expect trouble on the other hand if you sleep in your car because you are stuck overnight you would be very unlucky to get more than a warning. In general where camping is prohibited you should just accept that regardless of your personal feeling on the matter. If you feel the law is unreasonable then write a letter to your democratic representative. If you are in a foreign country then, tough you're a guest there and should respect their laws. In fact the best advice is to be conservative in complying with local laws as pushing them to their limits may land you in trouble. If you are in your own country and want to challenge the local laws then that is up to you however I would suspect that while a blind eye may be turned to sleeping under a tarp in many cases, rolling up in a 4x4 might well be considered to be taking the mickey. Travelling across Canada I was near Regina in mid winter. Pulled off into a campground closed for the winter, and made my camp under a picnic table. On another trip from New Mexico to Alberta, I would drive my truck, which had a camper with everything I owned in it. (Cramped...) My dog and I would drive through the day, then near sunset, move off the highway, park on a a field access road and make supper and crash. Throughout the U.S. and Canada, major highways have pullouts and rest stops. A pullout is just a very large shoulder. Rest stops have washrooms too. Both allow stopping and sleeping in your car. With a scout group as a lad, we drove from Idaho to Miami, Fl. and back camping using these methods -- campgrounds, wide spots, side roads in National Forests. Not the answer you're looking for? Browse other questions tagged wild-camping legality europe germany or ask your own question. Roof-top tents vs conventional tents? Is it legal to camp on private property in Russia? Am I allowed to swim in the Austrian Alps lakes? Where in New Zealand is wild camping permitted? Can urinating around camp attract wildlife?